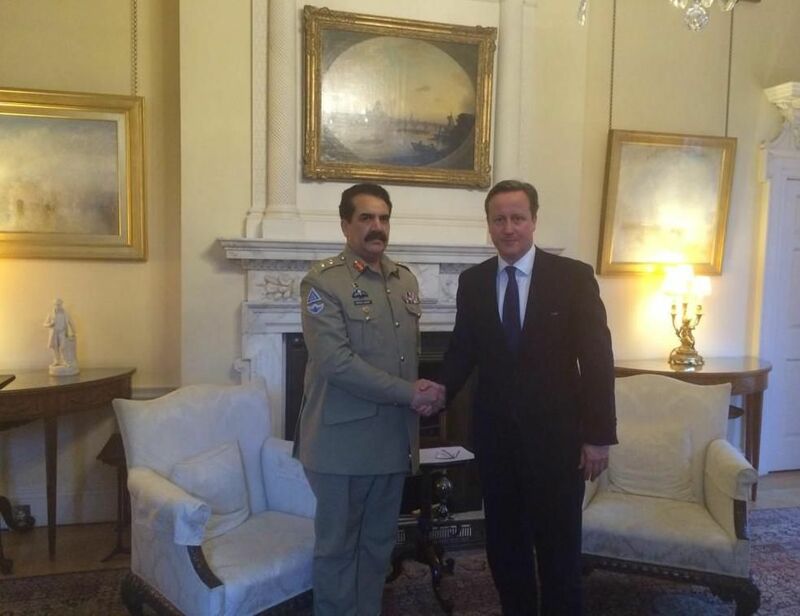 Army Chief General Raheel Sharif, on his visit to the UK and meeting with David Cameron on 14 January 2014, sought help from the British government against Hizb ut-Tahrir – a matter that has become headline news in Pakistan. Hizb ut-Tahrir Wilayah Pakistan draws attention to the fact that traitors in Pakistan's military and political leadership are bankrupt of words of truth, so they resort to force and banning, seeking help from wherever they can, East and West. The reason the Raheel-Nawaz regime cannot stand Hizb ut-Tahrir is because Hizb ut-Tahrir boldly accounts their crimes and their criminal and shameful subservience to the West, in particular the United States. They have no answer for Hizb ut-Tahrir's strong challenges and exposing of the regime's policies, which serve the interests of the colonialists. Above all, Hizb ut-Tahrir calls upon the noble officers of the Ummah's armed forces, the sons of Khalid bin Walid (ra), to use their strength for the foremost interest of the Ummah, the resumption of Islam as a way of life through the re-establishment of the Khilafah. Thus, it is no surprise that the regime will turn to the Western colonialists for support against Hizb ut-Tahrir and the work for the Khilafah. The West who for centuries launched crusade after crusade against the Khilafah. The West who today ally in enmity against the Muslims, whether by invading the Muslim Lands directly or supporting the Hindu and Jewish states in their aggression. It is known that the Prime Minister of Britain displays open hostility to Islam and considers the right to insult the beloved RasulAllah (saw) an integral part of Western Civilization. We ask why, instead of demanding help to suppress Islam, there was no demand related to protection of the honour of Rasul Allah (SAW)? Such a bold measure would have kept the kuffar awake in their beds, as the Khilafah did when Britain and France insulted RasulAllah (saw) before the First World War, forcing the crusaders to retreat from their insults in fear of the mobilization of the Muslim armed forces. The answer to this question is that the loyalty of the traitors in Pakistan's leadership is only for the Kuffar and their false way of life. They only do the bidding of the colonialists and are given medals and guards of honors from the foremost enemies of Islam in Washington and London, in recognition of this lowly service. "They desire to extinguish the Light of Allah with their mouths, and Allah refuses but to perfect His Light, even though the disbelievers abhor it." "وہ چاہتے ہیں کہ اللہ کے نور کو اپنے منہ سے بجھا دیں لیکن اللہ اپنے نور کو کامل کیے بغیر ماننے والا نہیں چاہے کفار کو کتنا ہی ناگوار گزرے"